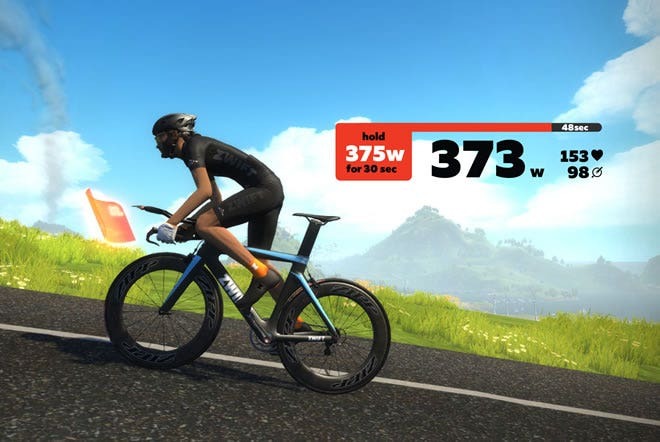 With Wahoo KICKR smart trainers and Zwift, you can ride, race or train in real time with other riders from around the world. 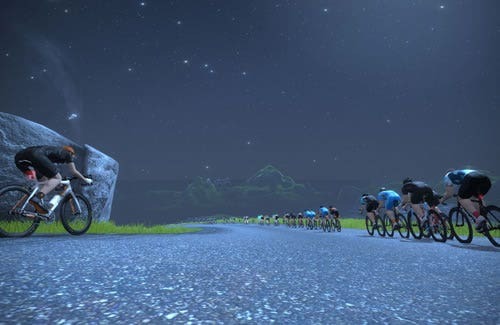 New users may join Zwift FREE for 7 Days. 1. 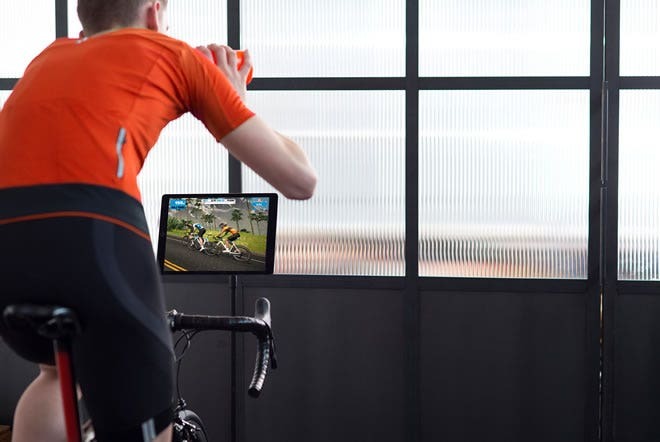 Download Zwift to your Mac or PC. 2. Connect your KICKR to Zwift via ANT+ or Bluetooth on iOS. Join the global community and never ride alone. Make new friends and reconnect with old ones while you ride. Sprint for the town line. Conquer that climb. Earn your spot on the leaderboard and unlock achievements - like a custom Wahoo Fitness kit for your virtual self! The KICKR flywheel provides a real road feel with Zwift for unmatched indoor training. 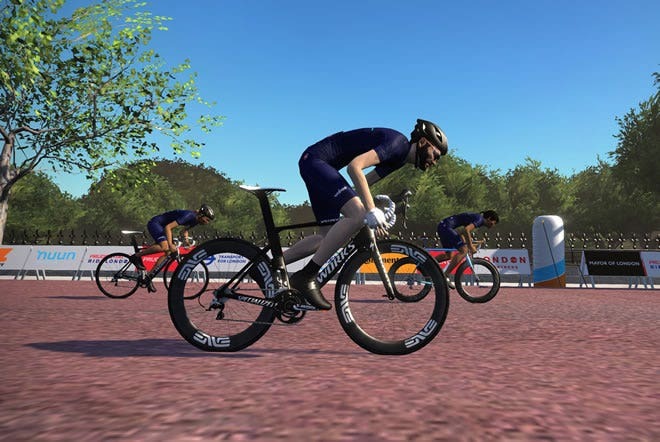 In the game, you can compete against the clock or other riders. Win jerseys and best your previous records. 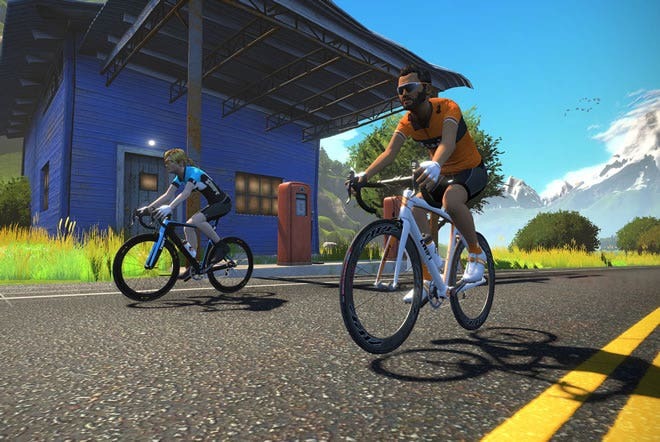 "Add...A smart trainer like the Wahoo KICKR, which allows resistance to be controlled externally, and the platform’s [Zwift] capabilities expand into a highly realistic virtual riding experience."